Product prices and availability are accurate as of 2019-04-18 12:34:29 UTC and are subject to change. Any price and availability information displayed on http://www.amazon.com/ at the time of purchase will apply to the purchase of this product. Equipped and Ready for Life's Adventures! From road trips with your family to weekend adventures with friends, it's always important to have your gear on hand. But between backpacks, luggage, sleeping bags and more, space inside your vehicle quickly becomes limited. 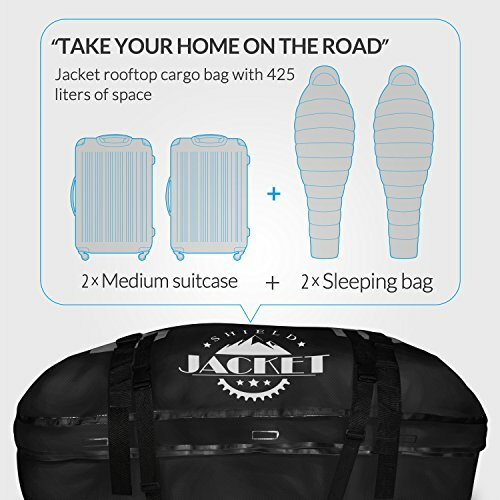 With a Roof Top Travel Bag from SHIELD JACKET, you can bring along all of your equipment without sacrificing space! Designed for cars, vans and SUVs with roof rack systems, it instantly increases free space within your vehicle. Measuring in at 15 cubic feet (43"x34"x17"), it allows you to conveniently store large, over-sized or even odd-shaped objects. Heading out in the rain? That's no problem because our cargo bags feature welded seams to seal out water, making them completely weatherproof! Whether it's rain, snow, sun or wind, your belongings remain protected. And with 8 built-in tie straps, you can effortlessly attach your bag with zero hassle. When it's not in use, the soft-sided design folds and stores virtually anywhere. Crafted with double-wall vinyl, 2 compression straps and a double waterproof zipper, our roof top carriers take the worry out of packing and travel! Just be sure to wrap and secure any sharp objects so they don't puncture the bag. Warning: Avoid direct contact with cargo bag when you want to put sharp objects such as Xbox One, TV Boxs or photo frame. Please wrap them in a soft cloth before putting. Try Risk-Free Today with Our Three-Month Warranty! 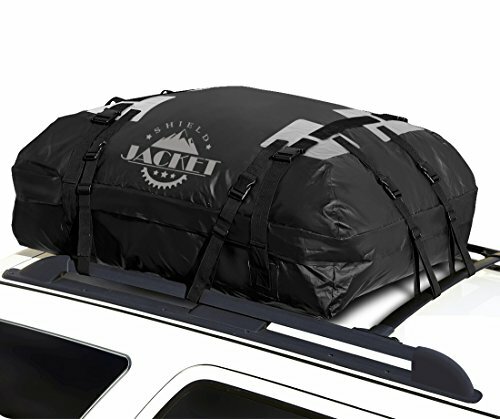 Spacious Roof Bag: Whether you're planning a cross-country trip or you're in the mood for a little off-roading, our roof top carrier is ready for any adventure! 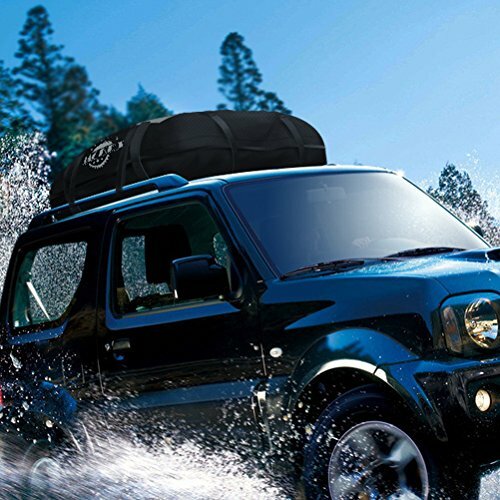 Great for cars, vans or SUVs with roof rack systems, it provides 15 cubic feet of convenient, secure storage. 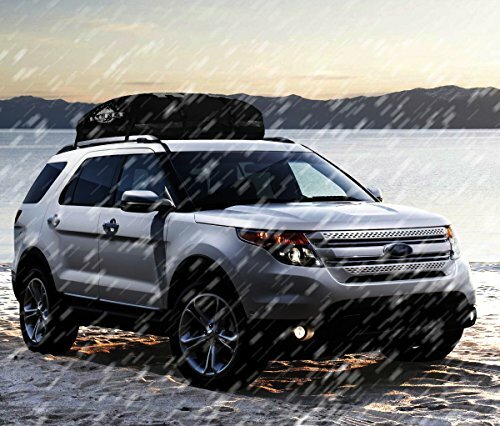 Completely Weatherproof: Our cargo carrier is ready to brave the elements! 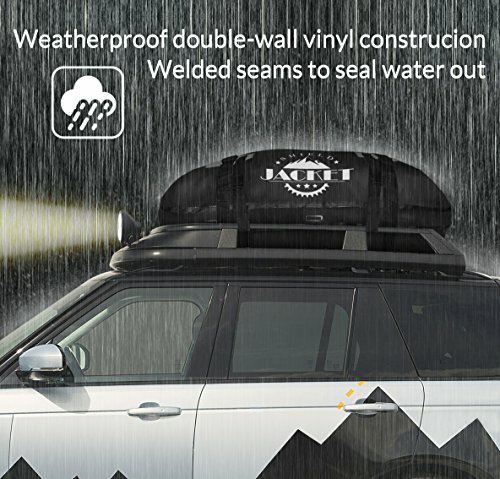 With welded seams to seal out water, it's totally weatherproof and protects your gear against rain, grit, snow, wind and sun. Ideal for family road trips, it increases the space inside your vehicle. 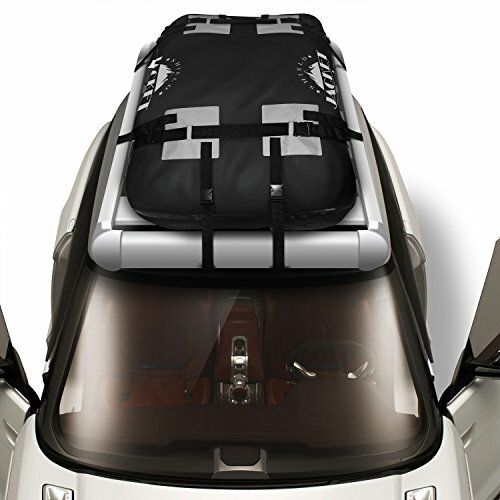 Easy to Use: Thanks to 8 built-in tie straps, our car top carrier attaches in only a matter of minutes! At 43"x34"x17," it comfortably holds odd-shaped and oversized objects. When it isn't in use, the soft-sided, compact design allows you to fold and store it anywhere. Trusted Quality: Thanks to double-wall vinyl construction and 2 compression straps, our car top luggage carrier is strong, durable and designed to last! You can rest assured and enjoy the trip knowing all of your belongings are securely in place and well protected. Shop Risk Free: The SHIELD JACKET team wants to help you make the most of all of life's adventures! If for any reason you're not completely satisfied with your cargo bag, you can return it for a full refund using our risk-free, three-month money back guarantee.